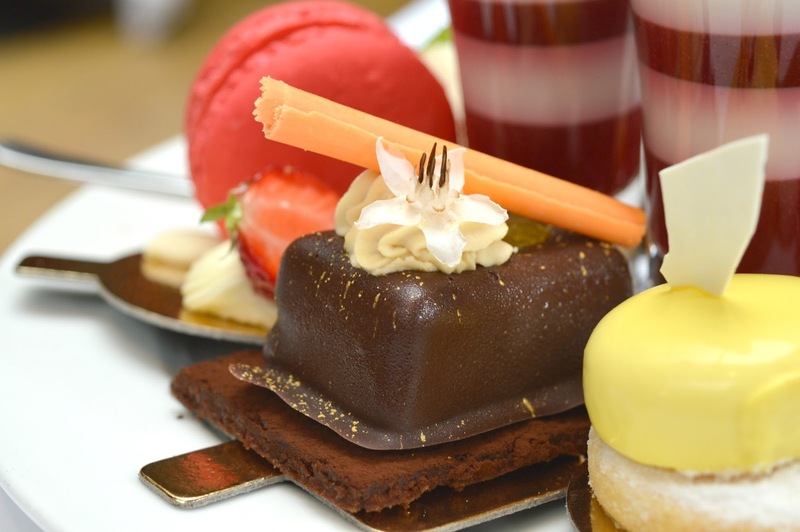 Being completely obsessed with cakes and having enjoyed more afternoon teas than most people have in a lifetime it's no surprise that I'm often being asked to recommend the best afternoon tea in Newcastle. I always reply, without hesitation, Jesmond Dene House. I've lost count of how many afternoon teas we've enjoyed at Jesmond Dene House over the last few years. Christmas, anniversaries, birthdays, Mother's Day - name any occasion and we've probably celebrated it with a cake stand of treats at our favourite hotel. So when my Mother-in-Law came to visit at the weekend and with Simon stuck at work it seemed like the ideal time to have a special "Mrs McGuirks' afternoon tea" without my husband there pinching all of the jam. 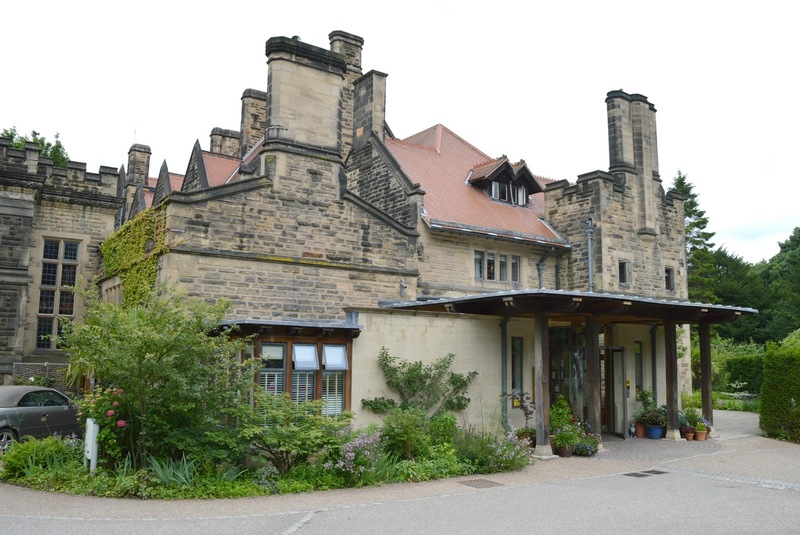 I don't often get to spend any one on one time with Simon's Mum and what better way for a catchup than over afternoon tea at Jesmond Dene House. I love Jesmond Dene House in any season, the place looks beautiful decorated for Christmas and is a cosy place to hide when it's wet and windy but Summer at Jesmond Dene House is truly special. The turrets and towers look stunning in the sunshine and the beds of colourful flowers smell so good. The outside terrace is a peaceful sun trap and the perfect place to relax in the sunshine with friends and family. We chose to have our afternoon tea in the garden room, my favourite place to eat in the Summer months. 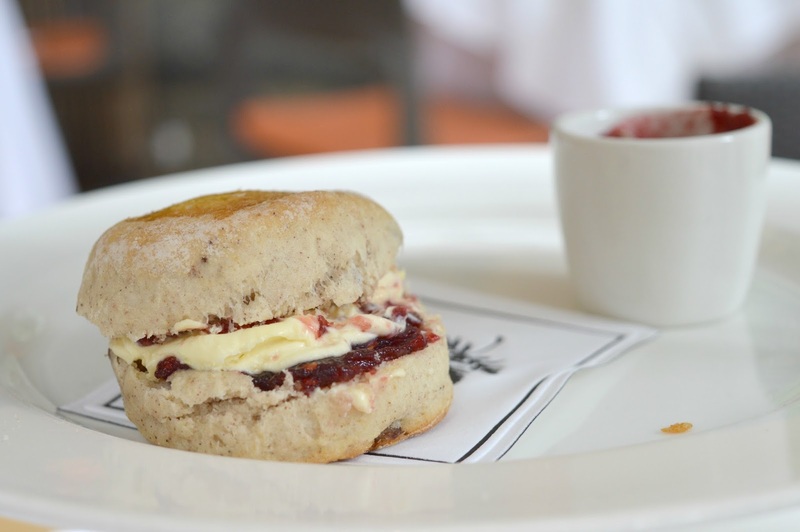 With its huge windows showing off the beautiful views of the terrace, it's an idyllic place to enjoy your scones. 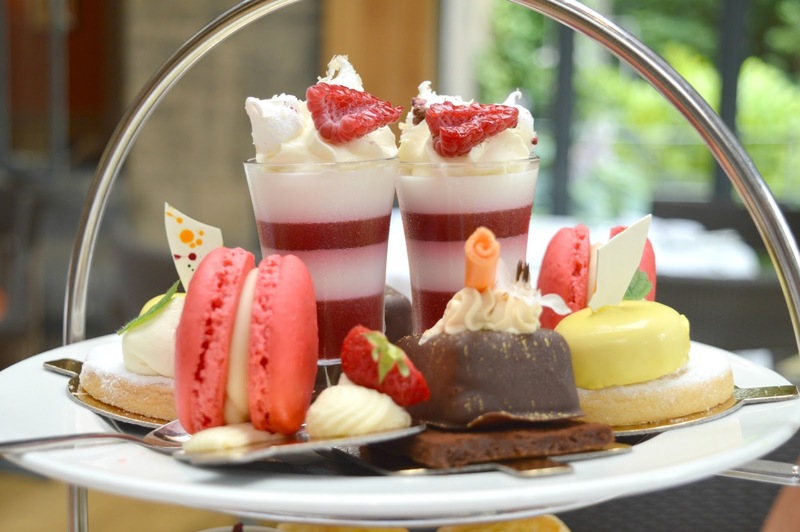 This Summer Jesmond Dene House have launched a new Summer afternoon tea menu and, dare I say it, they've really outdone themselves this time. I didn't think it was possible for their afternoon tea to get any better but somehow it's happened. 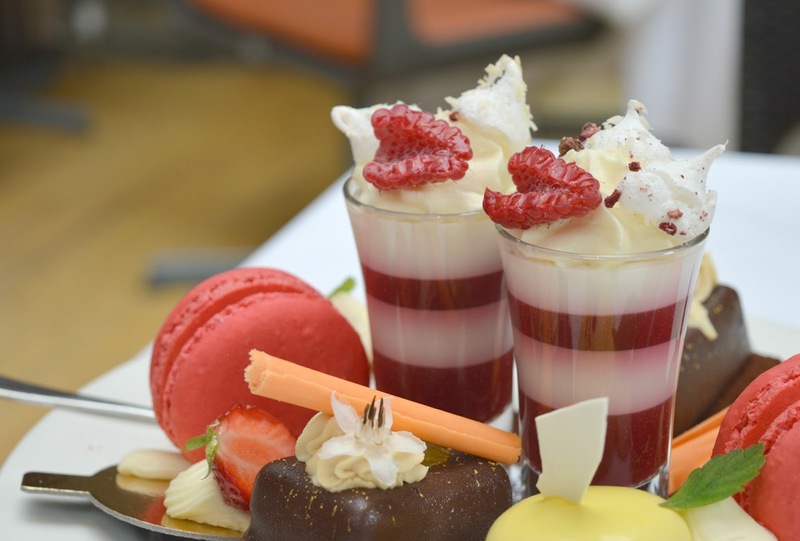 The new afternoon tea at Jesmond Dene House really is the best in Newcastle! Our afternoon began with a decadent glass of champagne, served cold in the most beautiful glasses we slowly sipped our fizz as we enjoyed our savoury tier of the cake stand. 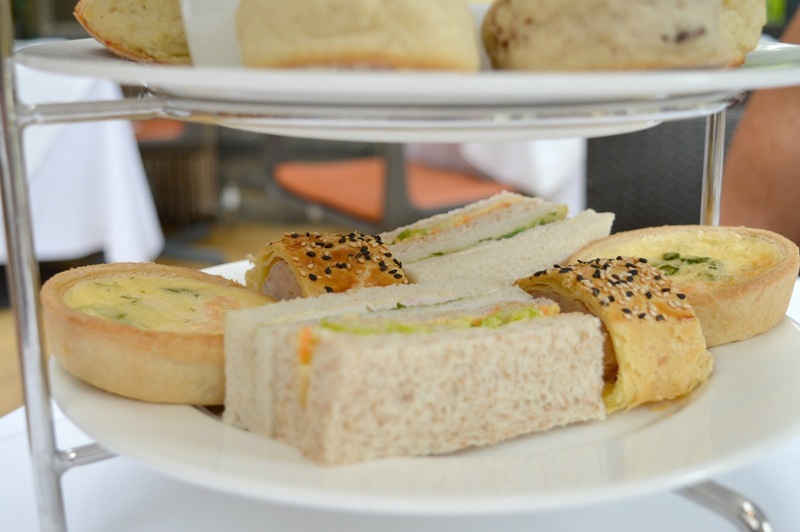 My favourite way to enjoy an afternoon tea is to have a glass of cold champagne with my sandwiches and then enjoy my scones and cakes with a pot of tea. As a blogger, afternoon tea fan and someone who enjoys food photography it's completely normal for me to go a little crazy with the camera when a beautiful afternoon tea is put down in front of me. What I wasn't expecting however was the comment from the older couple on the table next to us who had a little chuckle and then confessed that they'd also spent a good 5 minutes taking photographs of their cake stand. That's how stunning the cake stand looked, I can't imagine anyone being able to resist snapping away. 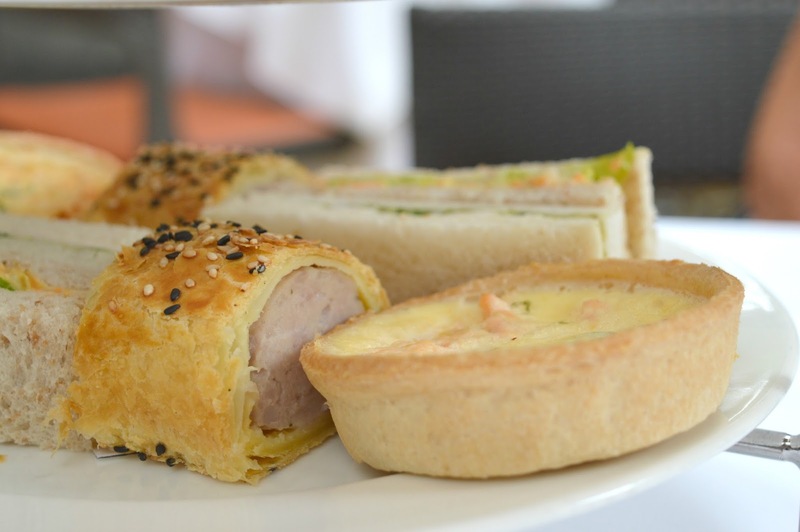 The new Summer afternoon tea menu sees a few changes, including some fantastic additions to the savoury tier. If you love your dainty sandwiches with your tea then you'll still get Jesmond Dene's finest with Smoked Mackarel, Egg and Caper on wholemeal bread as well as Chicken and Avocado with Rocket Cress on white bread. 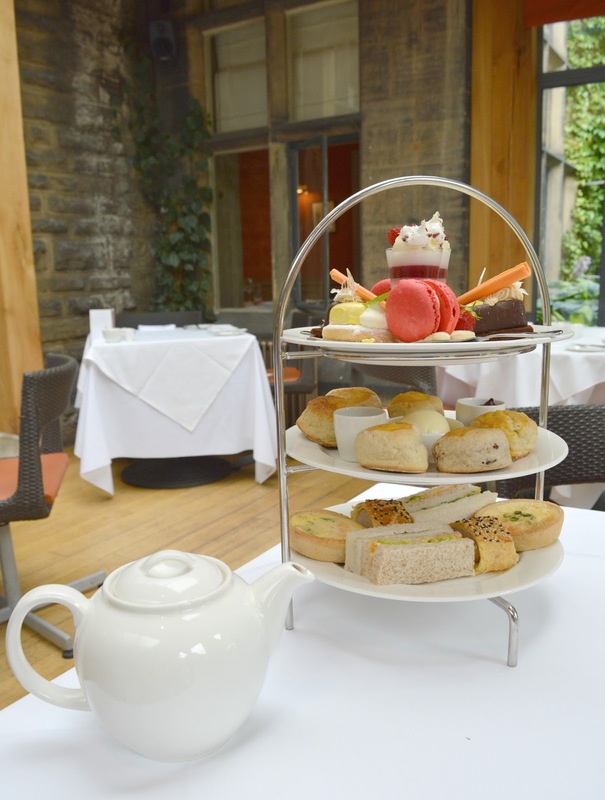 Served on fresh bread with plenty of filling, sandwiches on the Jesmond Dene House afternoon tea never fail to impress. The biggest change comes with the addition of a mini Asparagus and Salmon Quiche and freshly baked Sausage Rolls. I really love it when an afternoon tea offers something different to sandwiches and these extras were beautiful. Light flaky pastry, packed with flavour both treats were a great addition, especially for those people who aren't overly fussed by cake. 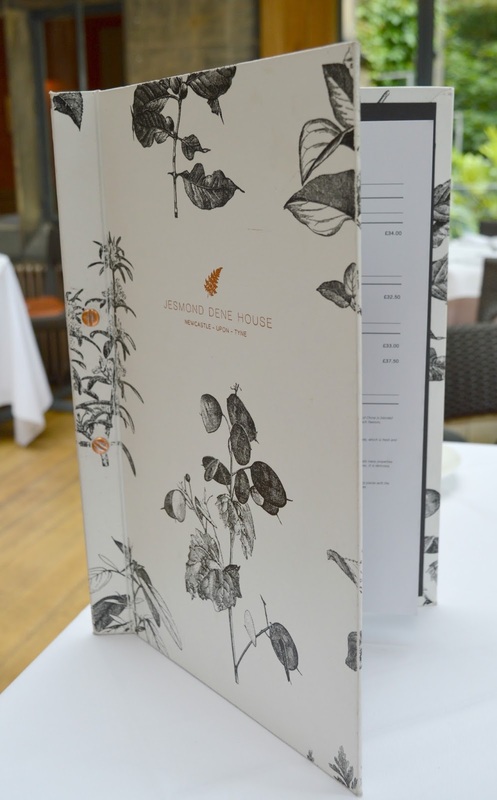 As always Jesmond Dene House are so generous with their scones meaning you can enjoy the best of all worlds. A cheese scone slathered in butter, followed by a plain scone with raspberry jam finished with (if you can fit it in) a fruit scone covered in as much strawberry jam and cream as you can possibly fit. I love them all but my favourite on this visit was the fruit which had a beautifully subtle cinnamon taste to it. I love my scones with a little hint of extra spice. Simon's Mum took one bite and was amazed at how fluffy they were. I will admit I did a little eye roll in her direction - of course the scones were fluffy, this is Jesmond Dene House and they do the best scones in the North East! Usually after the scones I like to have a little break and a few cups of tea. Luckily Jesmond Dene House offer endless pot refills, leaving you free to have as many cuppas as you like and really take your time with your cake stand. The best afternoon teas are relaxed and whenever we took a break we felt so at home, we just sat back in our chairs and loosened our belts a little without feeling rushed. Gossiping over our tea cups we happily exchanged silly stories about Simon (his ears must have been burning! ), talked holidays and shared memories. I love hearing the stories of Simon's childhood and hearing about how Simon's Mum and Dad first met. The cake tier of the afternoon tea was beautiful! Full of colour with amazing attention to detail, it was perfectly presented and almost looked too good to eat. We began with the Strawberry and Elderflower Macaron which came in mammoth size. I have to say I was very happy to see a jumbo macaron, I love them but they're usually so tiny that you can easily devour them in one bite. Next on our agenda was the Lemon Cheesecake, probably the most beautifully presented part of the afternoon tea I loved the cute polka dot detail on the white chocolate - so adorable! The lemon and cream sitting on top of the shortbread style biscuit was beautiful I just wish I'd been brave enough to take a big proper bite of it to get all the flavours together. I was so convinced I'd make a mess I ended up eating it all separately. The Raspberry and Coconut Sundae was the sensible next step. Tangy, fruity and refreshing it had a lovely amount of zing to balance out the sugar overload that had come before. Any afternoon tea fan knows to leave the chocolate until last because it will inevitably finish you off. The Chocolate, Orange and Almond Truffle was such a treat - it was really rich and I struggled to eat it but I was determined to get every last bite done as it was just too delicious to leave. One thing I really noticed about the new Summer afternoon tea is that it is huge! Probably the biggest afternoon tea I've ever seen at Jesmond Dene House. I only just managed to finish my food and I was feeling incredibly full by the end. For those not as greedy as me you can box up whatever you can't finish to take home, and something tells me that most people don't make it to the end! As we leant back in our chairs, desperately in need of a nap, we had to laugh at the state of our table. You could tell how much we'd enjoyed our food, the cloth was covered in tea stains, cake crumbs and jam spillages. It looked like the before shot of a laundry detergent commercial. Brilliant! 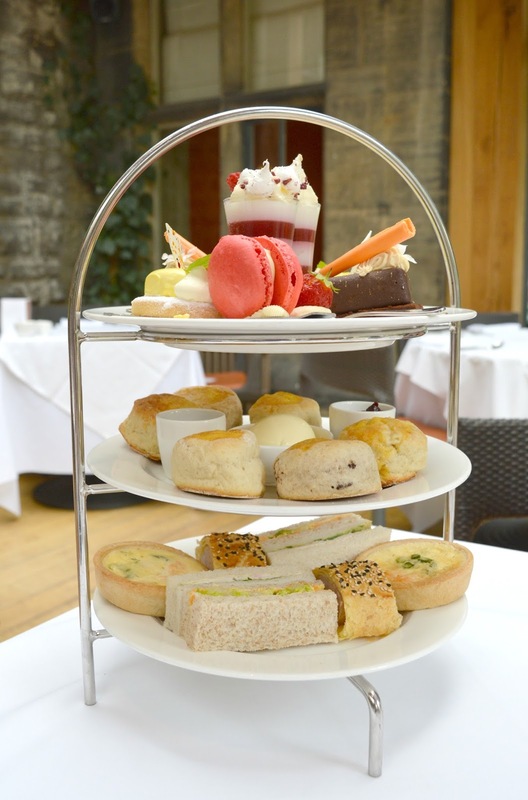 The new Summer menu at Jesmond Dene House costs £25 per person for standard afternoon tea, £37.50 with champagne or £32.50 with Noveltea. 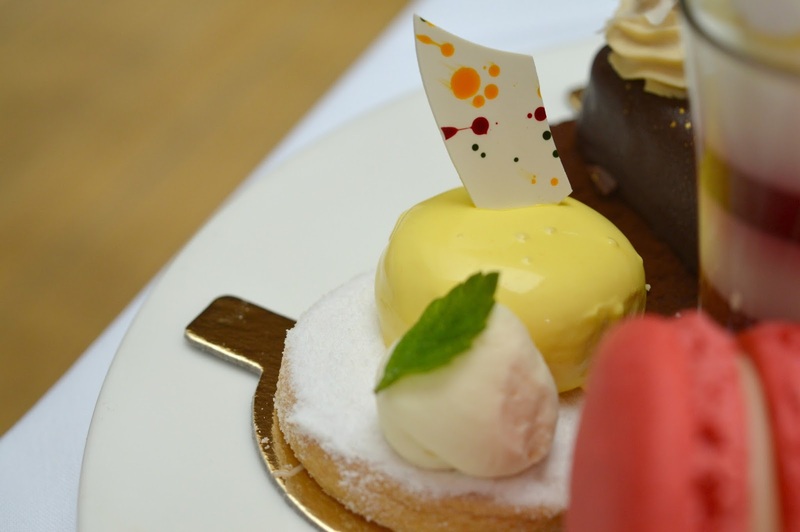 It is one of the most expensive afternoon teas in the region but it truly is the best and worth every penny. 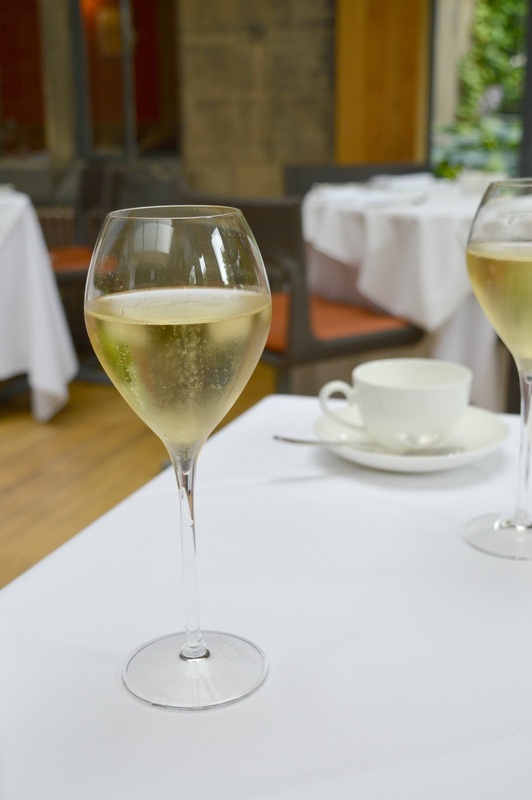 The size of the afternoon tea is very generous and filling and the wonderful atmosphere and attention to detail makes dining at Jesmond Dene House really special and it's what will keep us returning again and again. 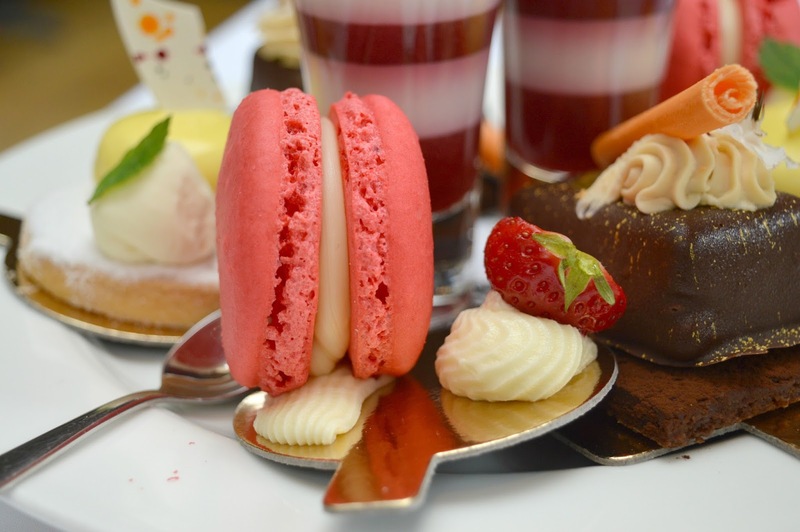 Let me know if you agree with me, Jesmond Dene House is the best afternoon tea in Newcastle! We were treated to a complimentary afternoon tea for two for review purposes but all cake loving and scone obsessing is my own. JDH is still my favourite afternoon tea in the North East. I need to get down to try this new menu. Your photos have me salivating! Looks lush-I have to admit i'm a bit tight and never been that satisfied with a lunch of sarnies and cake but that does look good for a special treat!! What a lovely way to spend an afternoon with Simon's mum. I'm glad us bloggers aren't the only ones who spend ages photographing pretty cakes. I don't know how anyone could not take photos at JDH mind. So pretty! The cake selection looks divine! Chloe these pictures are stunning! I literally want to eat the laptop! It always looks like such a beautiful place and is obviously complimented by their food.